Even though System Shock is almost 25 years old, it just got its first ever Fan Mission: System Shock: ReWired. Three brand new levels with branching paths, four new cyberspace sections, new puzzles, new audiologs (currently text only), new on-screen text and so much more awaits in the now dark corridors of the hospital ship UNN Bismarck. Playable with all existing versions of System Shock (Enhanced Edition recommended). What are you waiting for? SHODAN waits for your return! And she is eager to end your - in her opinion - useless existence. You can grab this FM from Mod DB, where you'll also find all the instructions on how to install it, and discuss it on the dedicated thread in our forums. A big thank you to 3RDplayer for his amazing work! Bad news. Stephen Kick, CEO of Nightdive studios, just announced in their last Kickstarter update that the whole project has been put on hold. "I have put the team on a hiatus while we reassess our path so that we can return to our vision. We are taking a break, but NOT ending the project. Please accept my personal assurance that we will be back and stronger than ever. System Shock is going to be completed and all of our promises fulfilled." Let's hope that this long anticipated project can get back on track soon. Meanwhile, you can join the ongoing discussion in our forums. A cool video from Nightdive Studios, showing the latest developments in the System Shock Reboot project. 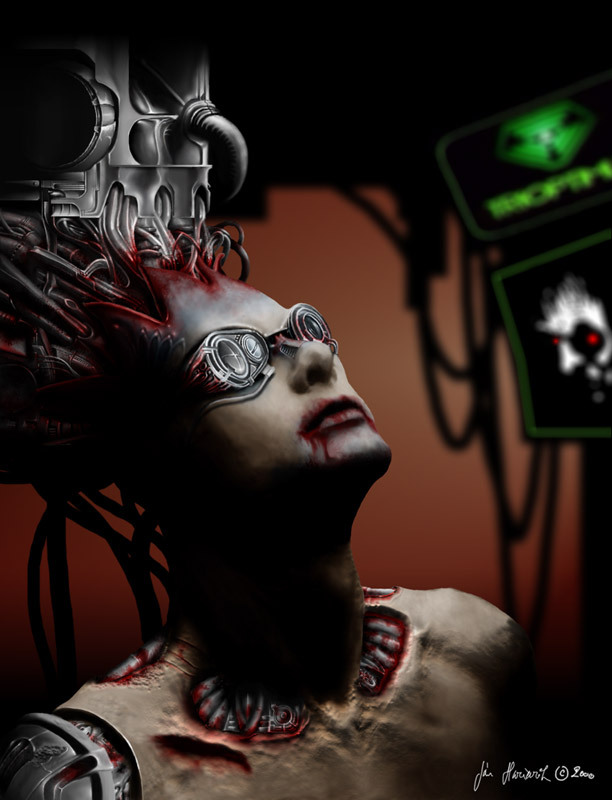 An interesting read at GameTripper for anyone who likes to reminisce about System Shock. "SCP is intended to serve as an unofficial patch for System Shock 2 that delivers an authentic but also highly polished SS2 gameplay experience — hopefully approximating the form SS2 would have taken if Irrational had had a few more months to work on it before release. All changes have been made with the intent of respecting Irrational's original vision. The other goal of SCP is to upgrade SS2 to take advantage of the enhanced graphical features of the NewDark engine in those ways that are beyond the means of standalone mods. The guiding principle for SCP has been that SS2's gameplay is fine as-is, and that its greatest strength is immersion — its ability to make players feel like they’re really trapped on board the Von Braun with all its horrors. So while we’ve tweaked game systems and made adjustments to the level geometry, the goal hasn’t been balancing gameplay, but rather eliminating those things that don’t make sense to the point that they take you out of the game. Anything illogical, gamey, or otherwise immersion-breaking, we've tried to correct." SCP requires System Shock 2 patched to version 2.46+ and you need to start a new game. Head on to systemshock.org, where you can find more details about this patch, download, and discuss it. It certainly looks so. Not many details have been made available so far, but a tease site has been put up. Join the ongoing discussion at our forums. "SCP is intended to serve as an unofficial patch for System Shock 2 that delivers an authentic but also highly polished gameplay experience, hopefully approximating the form SS2 would have taken if Irrational had had a few more months to work on it before release. It is not a total conversion, a source port, a reimagining, or a remake. It is not SS2 for experts, nor is it SS2 for newbies. It’s just SS2, but better." So head on to systemshock.org, where you can find more details about this patch, download, and discuss it. As always, great work guys! Yes, the game that started it all in 1994, System Shock, is now available on Steam and GOG. It's an Enhanced Edition (which also includes the classic version of the game), containing several of the community's mods and improvements on the original game and much more, such as mouselook support, remappable keys, or enhanced resolution. So go ahead, Employee 2-4601, grab a copy and jump back into Citadel Station! Given the sheer amount of mods and enhancements that the community has made for System Shock 2 over the years, it's pretty easy to get confused or lost deciding which ones we might wish to install. Well, thanks to Chris' work, that problem may very well be a thing of the past. You can check out the excellent and thorough Ultimate Guide to SS2 Mods that he has compiled for us, where every available mod is described in detail, helping you decide what best suits your needs. A big thank you for your hard work, Chris! A patch for the System Shock Infinite FM has been made available, that will fix several bugs in the full version. The patch is available here. The team who brought us System Shock Infinite has just released a new trailer. xdiesp has just announced over at our forums that a new fan mission for System Shock 2, 'System Shock Infinite', is now available for download. This minimod is a collaboration between him, Phantasmagore, ShephardReborn, and CaptainLKL. For more details, install instructions and discussions about this FM, you can check the relevant thread. The fan mission can be downloaded here. A big 'thank you' to all the team who made this! System Shock 2 is now available on Steam, and also on GOG. This is the 2.42 patched version, and if you hurry you can get it 50% cheaper on Steam's Summer sale! "Josh Randall here. I was the producer for Thief and System Shock 2 back in the day. I was also the guy who did the electro bits of the System Shock 2 soundtrack.[...] I decided to post the original multi-track recordings that made up some of the songs from the SS2 soundtrack. I also posted some thoughts about each track, and the gear I used. I hope you and your readers enjoy!" The files can be found on Josh's site, and you can discuss this on our forums. Thank you very much, Josh! We just got some delightful news: a new unofficial patch for System Shock 2 has surfaced! This is huge! The patch (along with a similar patch for Thief II) was announced by a mysterious user named 'Le Corbeau' on the French forum Ariane4ever. The list of changes introduced by this patch is simply amazing, making both games fully compatible with modern hardware and Windows releases, and opening new horizons for the modding community. AIs now breathe from their head instead of their stomachs. They will no longer drown when up to their waist in water. Join the discussion at our forums, where we have threads dedicated to both Thief and System Shock 2. There you will also find links to download the patches and respective demos. We still don't know who is the author of this amazing work, but whoever you are, there aren't enough words to thank you for this! Browse old news in the News Archive. Glass Studios, Irrational Games, and Electronic arts.